As usual, it takes Sir Bob Jones to crystallise the Treatygaters’ shameless dishonesty. Today’s Herald column is one of his best. So, the comical Ngaruawahia ex-truck driver who can’t speak Maori and struggles with English but calls himself King of Maoridom despite his realm ending at his letterbox has declared Maori own the rain. I assume His Majesty will accept liability for inflicting millions of dollars of flood damage annually through Maori rain supply mismanagement. He can ponder that when sitting on the only throne he’ll ever occupy, namely in his lavatory. Pulling the royal pretender’s strings is his court jester, Underpants Morgan, a man evidently of Welsh ancestry and probably a direct descendent of Cardiff-born Henry Morgan of piracy notoriety. But that was the 17th century. Try this owning-everything-by-right racket in the valleys today, boyo, and you will discover your Welsh kin are not big on humour. Another blowhard claimed Maori own the wind. He has a point, given the amount they generate at these hooey babblefests. But be assured, soul-selling barristers, driven by their wallets, will shamelessly go to bat for them, twisting and turning the meanings of an anachronistic 170-year-old vague treaty. The Prime Minister must emulate Helen Clark, who commendably brooked no nonsense and promptly legislated against the foreshore larceny try-on. 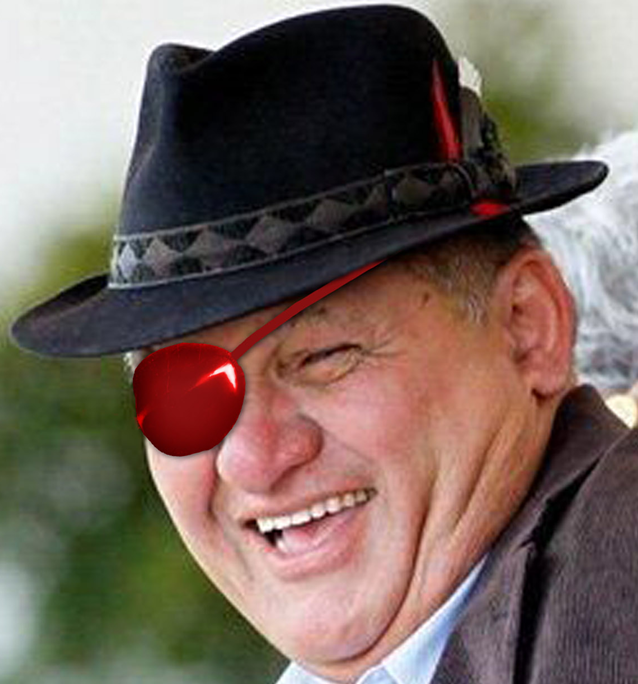 John Key could offer in appeasement free white canes and seeing-eye dogs, as all these hui hoodlums appear to be blind, wearing dark glasses day and night. Unfortunately, this will again mean Wellingtonians suffering the aesthetically distasteful spectacle of spear-waving obese males, consistent with their predominant ancestry, most bearing Irish names, waddling down Lambton Quay. Their risible responses after their foreshore try-on march to television reporters, asking what they were actually seeking, recalled 1970s socialists who when queried what they meant by socialism, would carry on at inordinate length solely about what they didn’t mean. Despite the euphemistic deceit about “resources” and the “Crown”, what these parasites seek is for hard-struggling Kiwi workers to give them money without them having to work for it. They’re a disgrace, not only to Maori but to the human race. John Key should call an early election on this “who owns the rain, wind, air and everything else” issue and National would receive a massive majority. The dilemma facing Labour is tricky. David Shearer is a sensible man, as are most of his parliamentary colleagues who would all deplore this despicable attempt at bludging off taxpayers. But what to do – vote with the Government, abstain, or vote against? Labour should firmly state their support for clarification legislation otherwise they’ll wave goodbye to their blue-collar voters who will be up in arms over this we’re-entitled-to-live-off-you-all claptrap. Have these thespians leaning on their carved walking sticks no shame? It’s all reminiscent of 1951 when the waterfront gangsters held the country to ransom, deplored then even by the Federation of Labour. Labour was doomed after their leader, Walter Nash, weakly stated he was “neither for nor against”. That fence-sitting contributed to National ruling the roost for 27 of the next 33 years. The Greens face a similar position. Some of them would assert that Maori should receive free breakfast in bed and cars, both clearly promised in the Treaty as the Waitangi Tribunal would undoubtedly confirm. But should they side against the public anger on this issue, they would be decimated in a snap election. Every Maori I know is angered by this rain, wind and everything else ownership claim, rightly seeing it as deceitful and divisive. It wouldn’t surprise me if this attitude is typical of Maoridom across the land. The ball’s in the Government’s court to make it clear that the gravy train has reached the station and is off to the museum. It should also kill off the unnecessary Waitangi Tribunal whose predictable, absurd decisions are causing so much disharmony. Here’s a suggestion for the Ngaruawahia pretender who will only ever become a king if he changes his name by deed poll and who’s seeking ways of getting his hands on other people’s hard-earned money. He should send Underpants to see our top Auckland promoters, Duco. They’ll have no trouble selling Maori monarchy dukedoms, earldoms, baronetcies, honorary consulships, etc, across the globe. Ornate certificates signed by His Majesty will be the only expense. His Highness could also establish a Ngaruawahia University by royal decree and flog instant doctorates, for which there’s a solid demand. If shady, such initiatives would nevertheless be a damn sight worthier than their current endeavours. I am of course assuming that actually working for a living is totally out of the question. What Bob may not know is that before becoming ‘king’, Tuheitia and his wife used to run the Huntly campus of Te Wananga o Aotearoa. This palace of pretension used to illegally call itself The University of New Zealand. At your expense, it gave every student a jacket or tracksuit emblazoned with this fraudulent name, and when it got pinged it gave them all away to a Pacific island. I’m told this make-believe university has the most generous employment conditions ever, including a $30,000 tangi grant — all courtesy of you, kind taxpayer. When Tuheitia left to become king, he asked his employer to gift him the house and car he’d been using. I’m told they agreed. Can anyone confirm this? Whether or not he owns your house and car, he’s got the cheek to claim that Maori have always owned your water. To me, that makes him a lyin’ king. 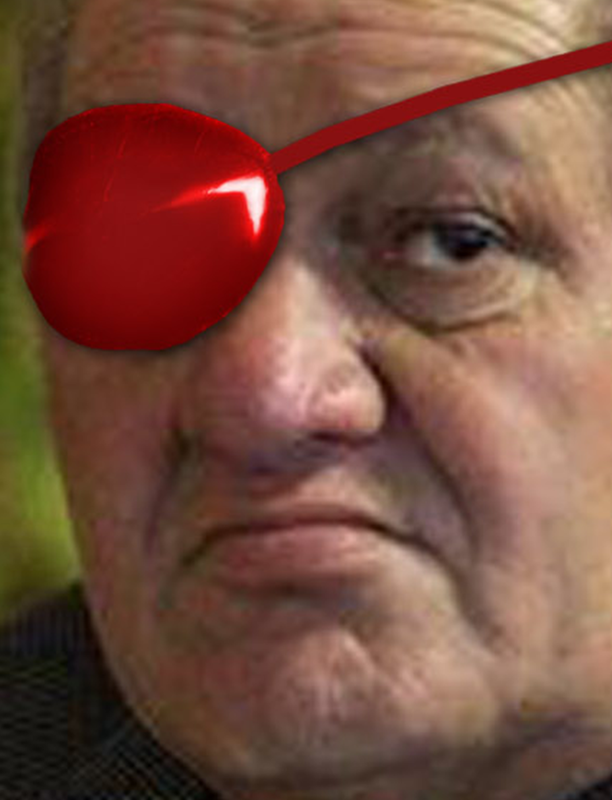 He at least deserves an eye patch. ABSOLUTELY BRILLIANT. Have commented to who ever will listen just now is National should call a snap election and be done with all this crap. Sir Robert is completely right – and has the courage to tell it in absolutely honest and unambiguous terms. I agree with him that John Key should close this open wound once & for all by calling an early election on the issue – and I agree also that if they did so, National would receive a massive majority, and the lasting gratitude of almost all NZers. John Key would go down in history as the leader who put a decisive stop to the ruinous Treaty industry. But as his standard setting is appeasement, he won’t do that, and therefore will again let the country down. Preposterous Maori greed flourishes mainly because nobody else in power will firmly stand against them. A snap election would only work for us if Key promised a Colourblind State – ie to kill the whole Treaty industry giant squid, not just lop off one or two tentacles. Would Key have the guts to scrap the Waitangi Tribunal, the Maori seats, Whanau Ora, reclaim state ownership of the beaches that he himself surrendered, etc. etc.? Key is the one who opened this Pandora’s Box. The best solution is to get Key’s and Finlayson’s hands off the levers of power. Hmmm… not only will they not stand against them but they seem to actively aid and abet the waitangi tribunal with their ‘thefts’ from taxpayers. It won’t happen. Key has no credibility, and certainly no balls anyway. An early election would see National thrown out on his arse. They would be out of power for another decade. Let the current Waitangi claims process follow its course…and then! Yes, Graeme, they certainly lead us down the garden path. I had the utmost faith that they would do what they said and worked very hard, burning up much shoe leather delivering pamphlets etc in the hope they would be elected. They then went into discussion with the Maori Party who they certainly did not need at that election and my vibes told me that this wasn’t going to be good at all. Surprise, surprise, my vibes were spot on and they have been an absolute disaster from day one. Never ever will they get my vote while Key and English and especially Finlayson are at the helm. They should be had up for treason. Is it still an offence? They have let the country down in an enormous way, to the point where I really fear where we will end up, if they aren’t stopped post haste. Well done Sir Bob and thank you John for bringing his column to our attention. It is patently obvious that the vast majority of NZers are heartily sick and tired of the Treaty gravy train and here is someone who does a pretty good of job of catching the public’s ear standing up and saying so. Key? Credibility? Not in the same sentence, please. I, and others, have noticed that he won’t pour $36m into Solid Energy to save hundreds of jobs but he’s quite happy to hand over hundreds of millions of dollars and countless hectares of land to Treaty claimants, some of whom didn’t even sign the Treaty. Gawd, give me strength. Key doesn’t give a toss about those who are about to lose their jobs at Solid Energy, he’s only interested in how the bottom line will look when it’s time to flog off 49% of it. He forgets the social cost of such thinking because he’s out of touch with real people. I agree with Graeme Faulkner, the John and Gerry Show has made things worse. What a wonderful insight to fraudsters, thankyou Sir Bob I have waited 78yrs for someone to write an article like this,(snouts in the trough) I say to them (Go get a real Job and pay your taxes like all other Kiwis.